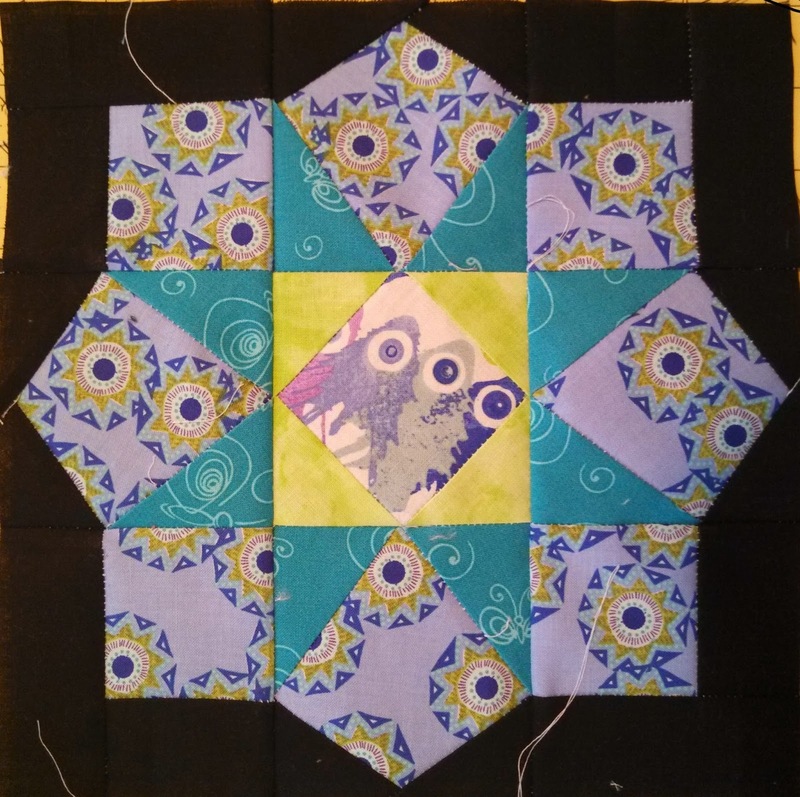 Once you finish this block, you'll be more than halfway done with all of the blocks from this quilt! Hooray! This week's block also has a "swirling" effect, but all of the coloring is the same for each type of block. WHEW! 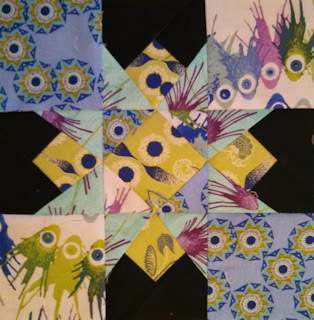 Same notes as usual for this block: don't forget to print your paper piecing patterns full scale without fitting to page! Don't forget to come back and link your #4 blocks here and to share any and all of your progress on the Flickr group! It's week four everyone! I am LOVING all of the pictures of blocks that people are linking up and adding to the Flickr group! Keep adding them and don't be afraid to jump in if you haven't started yet! You will definitely be able to catch up! 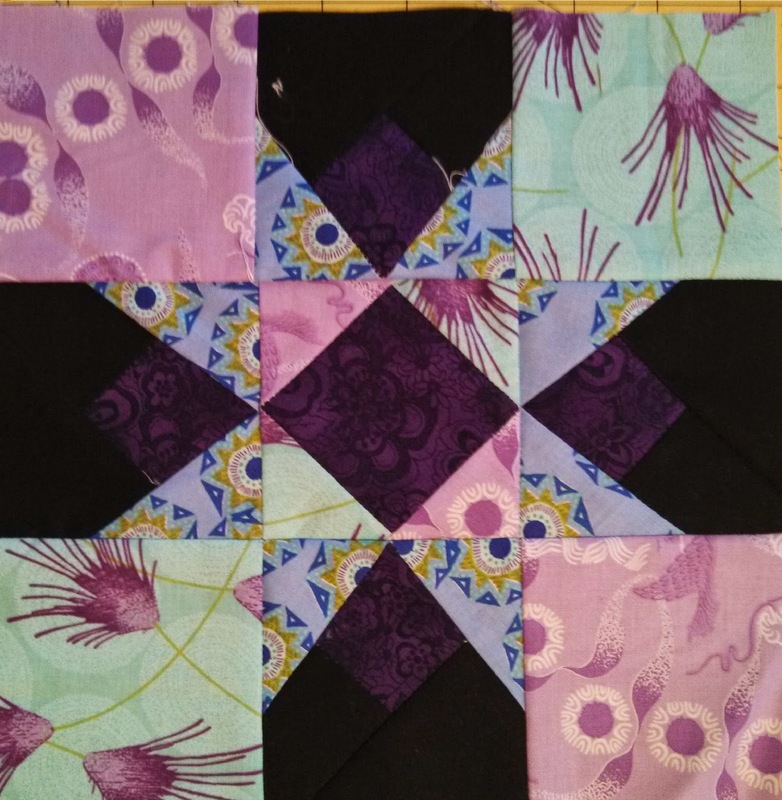 This week, we have another non-symmetrical block. This one is a little bit more complex than Block #3, so I will try to explain how to think about your color placement. 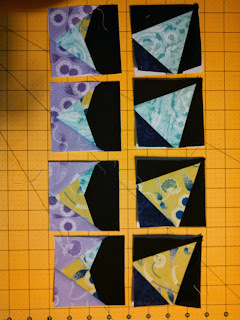 You will end up with 4 - A pieces, but 2 - A pieces will be using the "light purple" (or whatever you've chosen) for the larger triangle, and 2 - A pieces will be using the "light yellow" for the larger triangle. Same thing goes for the B pieces -- you end up with 4 total, 2 each of 2 different colorways. Not sure what is up with the awful lighting in these photos, but that is actually the lime green in the corner pieces. So once you have your pieces, you will put them together so that it ends up with a "whirling" effect. Good luck with your Block #4! Head on over to the Flickr group if you have questions! Stash Bee November 2013 -- My turn! It is the last month of the first round of the Stash Bee and if you are interested in signing up for next year (rounds will be by year starting in January) the sign-ups are here!! This month it is finally my turn to be the Queen Bee for the month! 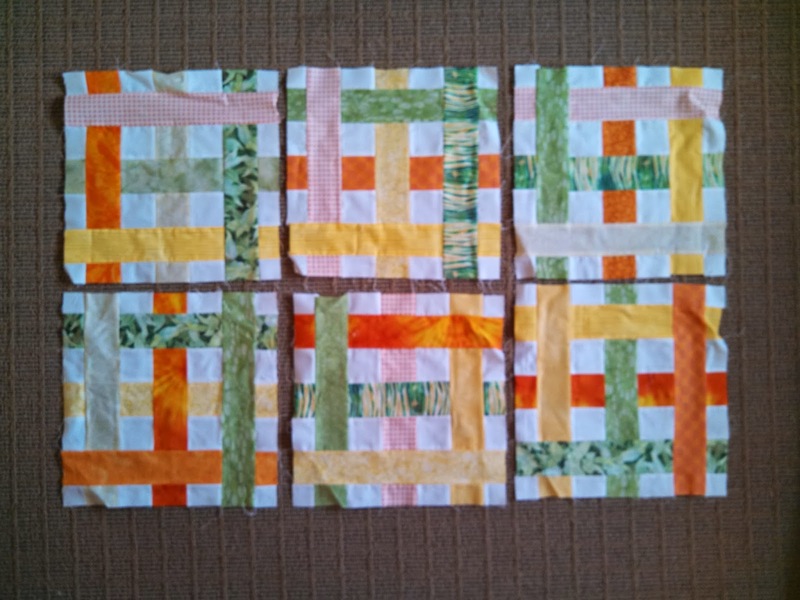 I chose to use Jess's Moda Bake Shop Pattern Simply Woven tutorial with apple green, shades of yellow, and bright orange as my colors. These are my test blocks from a while back that I didn't want to share until now! I got my first three swap blocks on Saturday and it is so exciting to see what others have made! When I get a few more blocks I will share all of the ones I have received. Happy Tuesday! 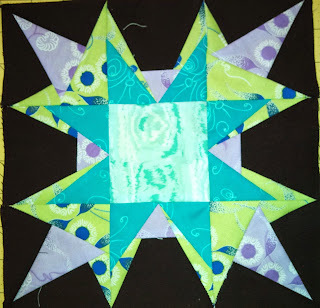 And don't forget about our Starburst Quilt Along! It's never to late to join in! 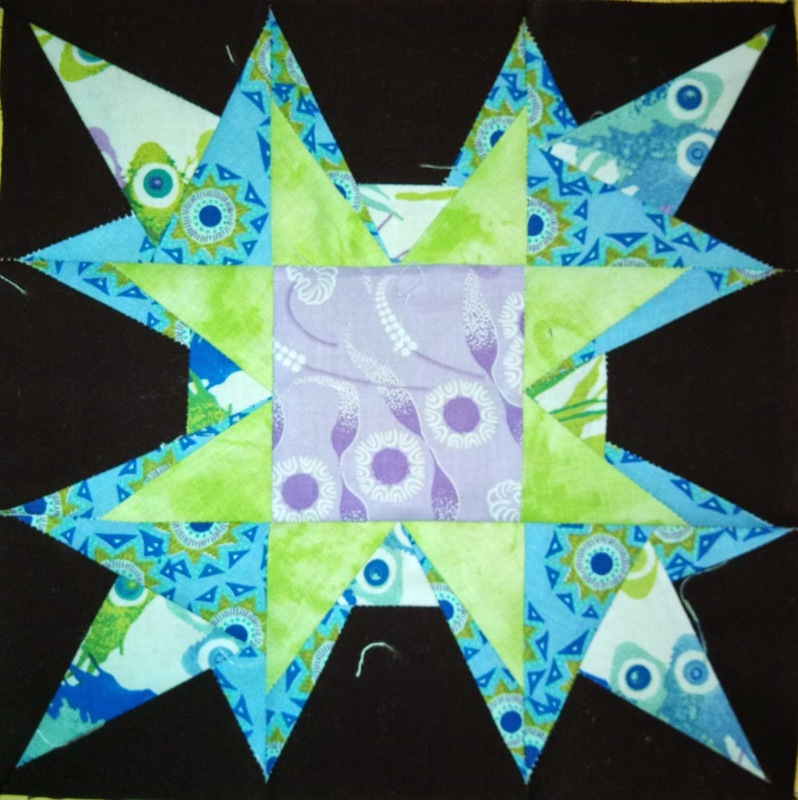 Blocks 1-3 are available for free on Craftsy! Linking up with Fabric Tuesday and WIP Wednesday! Hopefully your first two blocks have gone well thus far! This week we are working on Block #3. 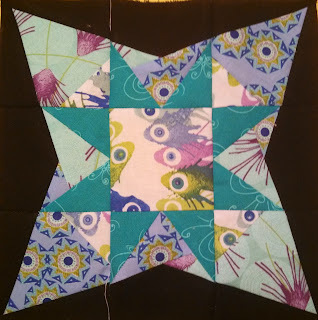 This week we are doing one of the blocks that isn't symmetrical all the way around. Make sure that the colors from your center paper pieced block match the corner square blocks as you're putting it together. As with the previous blocks, I used the larger scale prints in the corner squares. When you finish yours up, share them over in the Flickr group and come back next week to link up your pictures and blog posts for #3!! 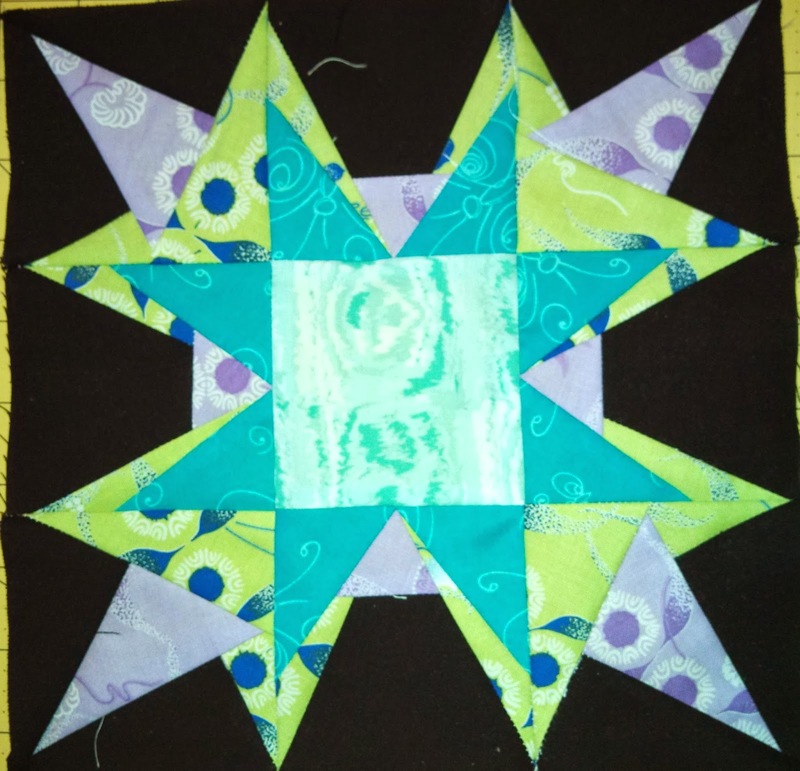 Welcome back to the Starburst quilt along! This one is also fairly simple. As usual, please make sure that you print it out full scale! See the brief printing directions here if you have an issue. I picked two of my larger scale prints for the main fabric to show them off a little bit more. One thing to note is that you can also deviate a little bit from the suggested numbering in many cases. 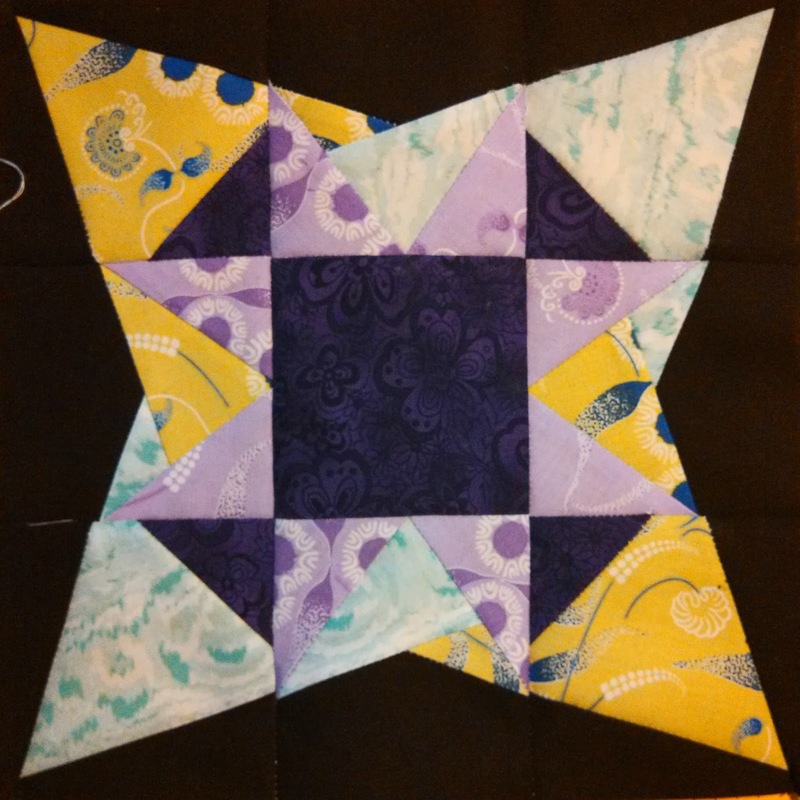 For the center block, as long as you add the center fabric first, you can do the outer triangles in any order. The same thing goes for the outer center pieces. 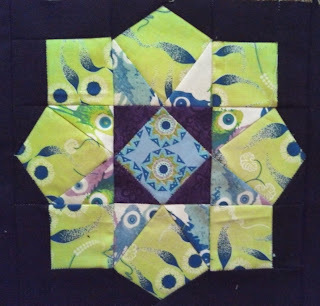 I used smaller scrappy pieces for piecing the center blocks to save on fabric. I will fully admit that I accidentally printed this pattern in the wrong size and had to remake the entire second block. I have a block that ended up about 8 3/4 inches instead of 9 1/2. I will probably use it on the back. Good luck with Block #2! Head on over to the Flickr group to share your progress and ask questions!